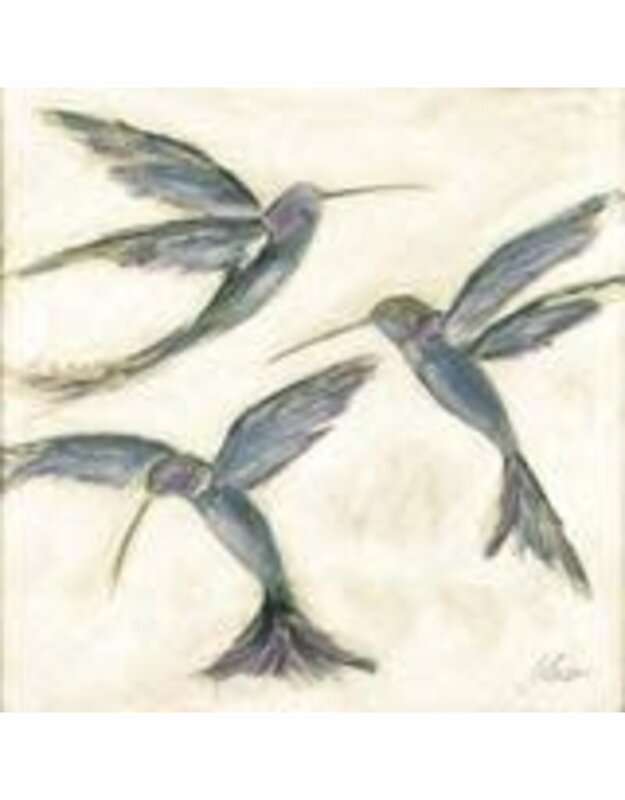 Ruby Throated Hummingbirds 12" x 12"
Home / Ruby Throated Hummingbirds 12" x 12"
This composition features three hummingbirds energetically darting through space with playfully vibrant hints of red, pink, orange, and gold as they fulfill their busy mission. Hummingbirds are known to symbolize eternity, continuity, and infinity as the fluttering wings of the hummingbird move in the pattern of an infinity symbol. These extraordinary creatures constantly feed and visit up to 2,000 flowers per day with their long bills in search of sugary nectar. They are also migratory birds and can fly over 500 miles in a day. 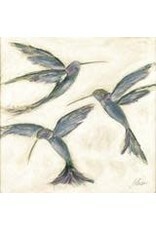 This work portrays hummingbird featured characteristics of movement, the search for nourishment and dashing colors.